Meguiar’s 3-in-1 Wax is the one-step paint care that you need to clean, polish, and protect your vehicle. This specially designed formula removes swirls, water spots, and blemishes while adding long-lasting protection and enhancing your paint’s finish! Meguiar’s 3-in-1 Wax solution cleans by removing fine swirls and water spots, polishes with oils that rejuvenate paint, enhance its shine and color, and protects with a blend of carnauba and synthetic wax to create a resilient barrier. 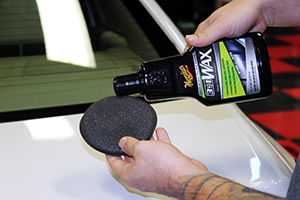 Waxing has never been easier with Meguiar's 3-in-1 Wax! 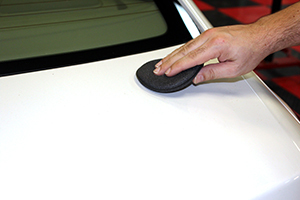 To use, apply a small amount of product onto the included applicator pad and work the product with light to moderate pressure in an overlapping, circular motion along the painted surfaces of vehicle. Once the wax has dried, remove with a clean microfiber towel. Works best with Wolfgang Concours-Series Microfiber Towel.